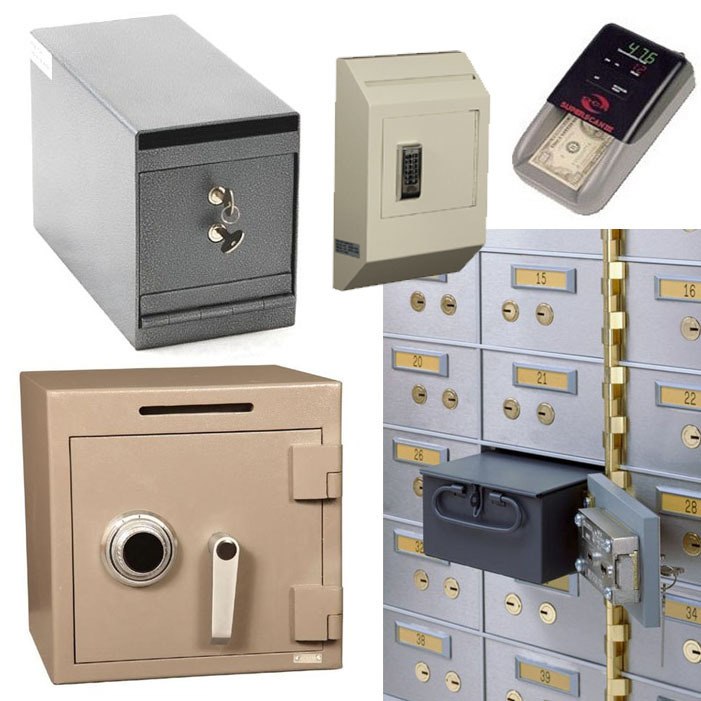 Fraud prevention, counterfeit detection, safe deposit boxes, key cabinets, burglary & wall safes, locking drop safes, depository safes and high security safes. 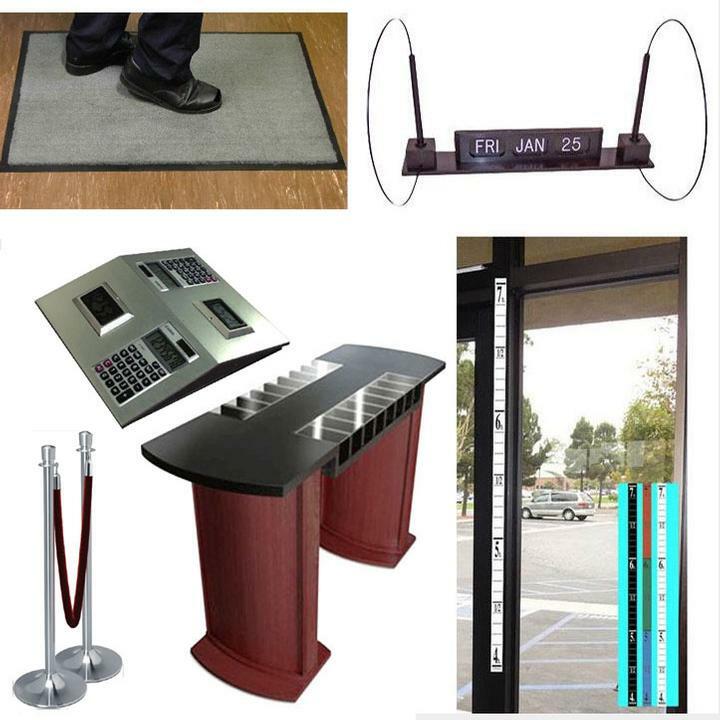 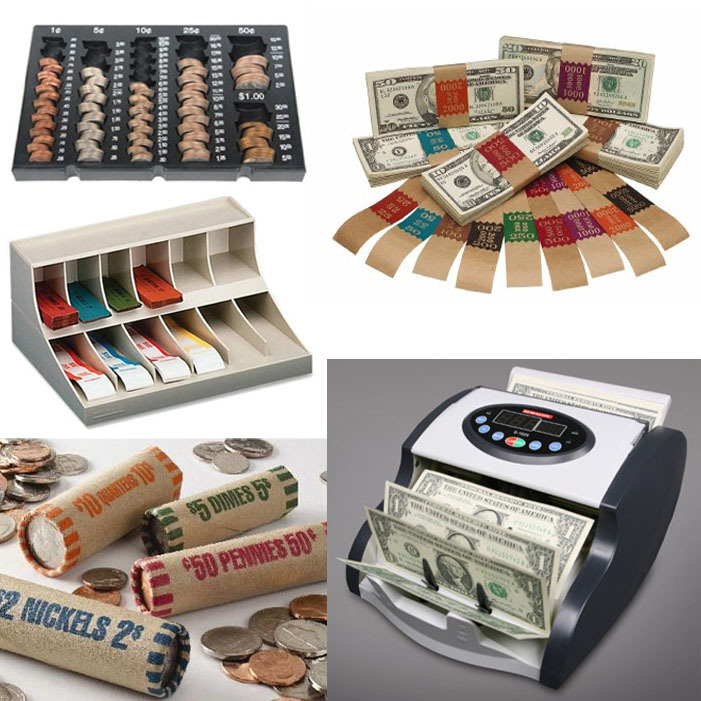 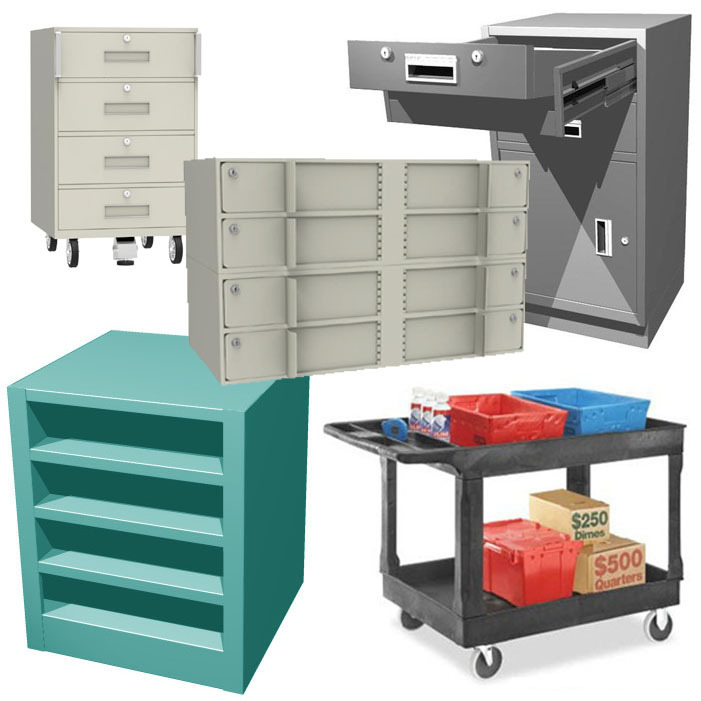 Bank lobby check stands, drop box kiosks, pens, clocks, perpetual calendars, carpet mats/runners, crowd control products, height markers, display cases & more. 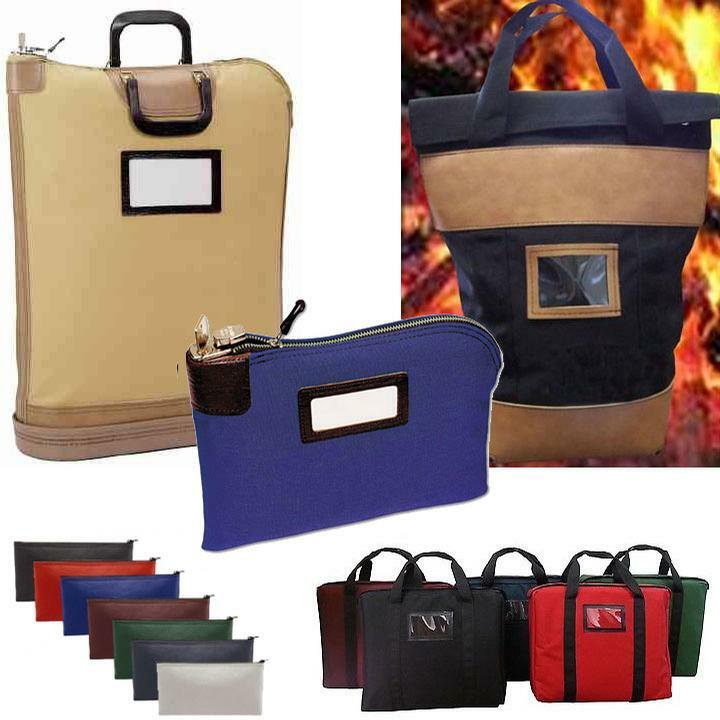 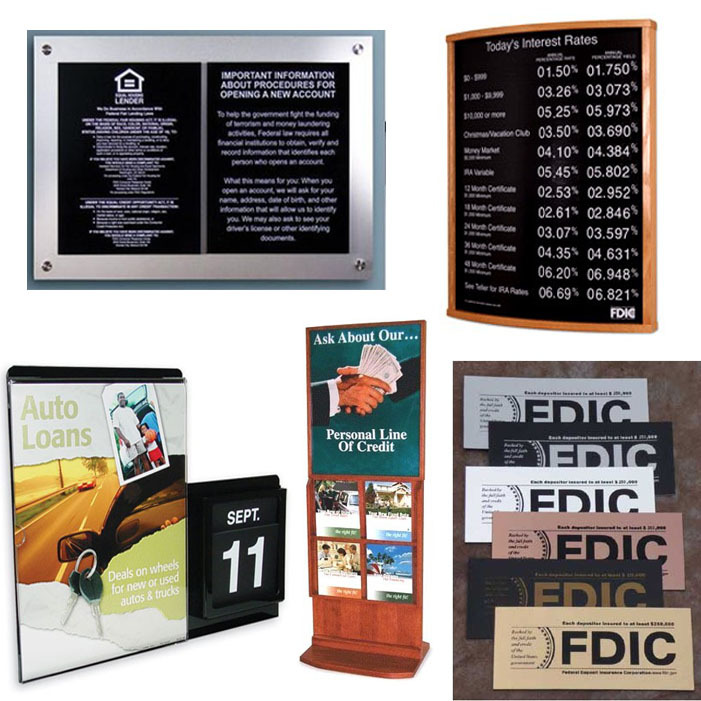 Banking brochure holders, display frames, rate boards, floor displays, FDIC signs, NCUA signs, mandatory bank signs and more banking display accessories.